Naturopathic doctor, Dr. Doni explains how addressing adrenal wellness is at the heart of recovery from chronic ill health for many people – and why. Too often the experience of seeing a medical practitioner involves temporary fixes that may have long term side effects. This is coming from the daughter of a pharmacist who grew up surrounded by the pharmaceutical industry. Mind you, there are absolutely important and life-saving benefits to pharmaceutical medications, but when it comes to long-term or recurrent health issues, medication is not likely to get to the root cause of the problem. Medications can relieve pain, halt an immune response and/or kill bacteria (which can save a life in an acute situation), but they are often not able to address whatever it was that caused the issue in the first place. This is particularly true of chronic health issues such as irritable bowel syndrome, fibromyalgia, chronic fatigue, and autoimmunity, but is also true for other conditions such as insomnia, memory loss, depression, anxiety, chronic viral infections and skin rashes of various types. I observe something different every day in my naturopathic health practice. 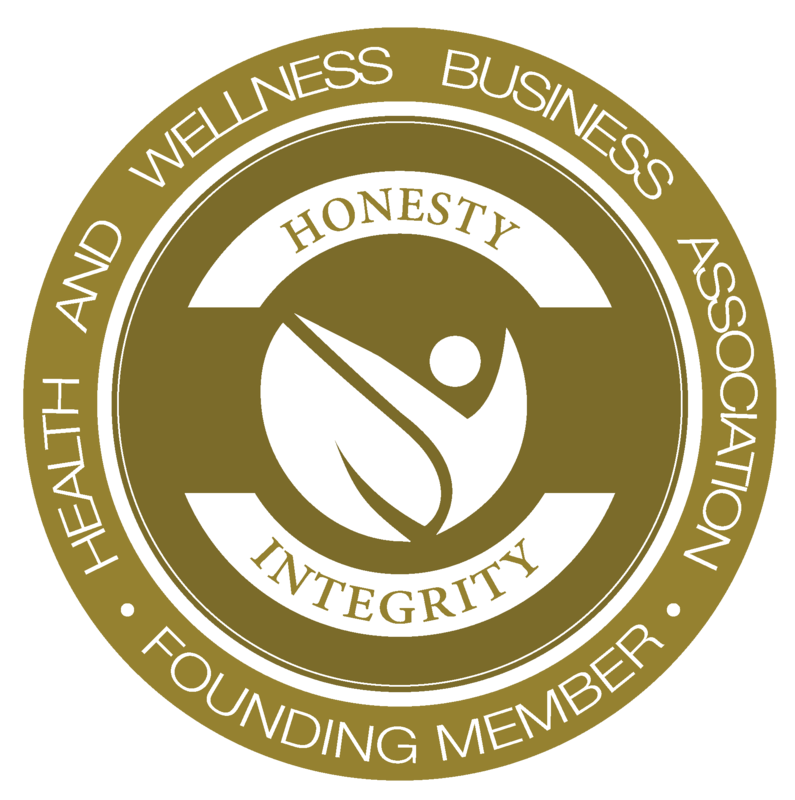 In working with patients who have a goal to address their health issues by resolving the underlying cause and subsequently supporting their bodies to heal, I have the privilege of seeing people resolve health concerns that are considered untreatable other than by surgery or prescription medication. “What is the difference between the conventional approach and yours?” you may ask. Naturopathic medicine is a philosophy of medicine that addresses the root cause of health issues by looking at the body as a whole, containing a number of integrated systems within it – and then choosing therapies that allow the body to heal itself. The approaches may include dietary changes, clinical nutrition, botanical medicine, and/or homeopathy. This process can occur alongside the use of medications, when they are necessary, or even before and after surgery to support the healing process. The key difference is that the overall perspective is to support the body to come back to balance and optimal functioning. Sleep – plain and simple – and enough of it. Stress reduction – you know, things like time off, vacations, meditation, prayer, conscious breathing, gardening, journaling, listening to music, and the like. Movement – what we think of as exercise. With these four elements in mind, we can therefore presume that any disruption in our ability to access any or all of these things will have a negative effect our health. And what has the potential to throw off our ability to access them? Stress! Earlier in this series I wrote an article called, Understanding Your Health from the Perspective of Stress, where I discussed how the core issue in over 90% of health issues can be traced to stress. That means that stress – in all its various forms – is the most common root cause of ill-health. So how can we, and how do we, address stress? 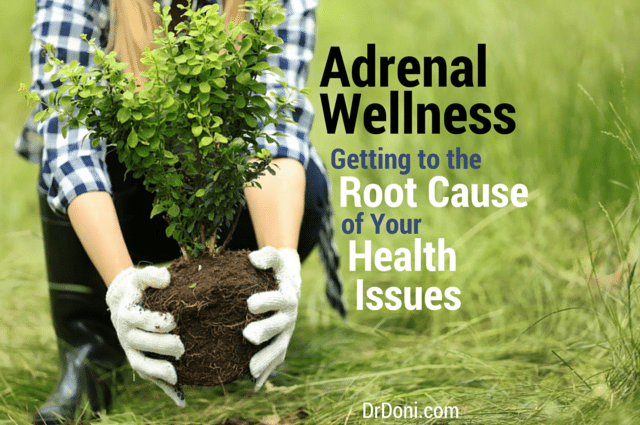 It starts with optimizing your adrenal wellness. The adrenal glands are the main stress responders in our bodies. When your brain gets the first signal that you are experiencing some kind of stress, it sends a message, to the sympathetic nervous system (the ‘fight or flight system’), and to the adrenal glands telling them to make adrenaline and cortisol to prepare your body to either run away or stay and fight the thing that is causing you stress. Cortisol and adrenaline then spread this message of stress throughout the body, shifting hormones, digestion, the immune system and the nervous system in a way that makes you ready to respond to the stress. Then when the stress is gone, a similar sequence of messages brings everything back to balance. But on days when you are triggered by one stress after another, all day long, your body doesn’t have much chance to come back to balance. In some cases you might not even get to de-stress enough to sleep at night. If this continues day in/day out, and depending on your genetics and your exposure to stress as a child, your body could get stuck in what I refer to as “stress mode” or get run down by it, in which case you can feel more and more burnt out. By this point, you may be experiencing fatigue, headaches, stomach aches, heartburn, irritability, anxiety, joint pain, weight gain, hives and rashes, recurrent infections, blood sugar or blood pressure issues, and/or decreased memory and focus. When we take a step back from the symptoms and diagnoses, and look at the big picture, we can see that how you are feeling is really about stress, or what I refer to as “adrenal distress.” From that standpoint, it is much easier to see what we need to do to help your body recover. My answer is always that you are smart to be paying attention to how you feel and that by addressing the issues now, you are not only likely to feel better, but you are also likely to be preventing health issues from developing for decades to come. That is because, when we address our health from the root cause, we are doing more than simply a quick fix that may make us feel better in the short-term. We are re-stabilizing our bodies and resetting our ability to stay healthy even while exposed to stress in the long-term. I wish I could say that there is one single answer to restoring adrenal wellness. Truthfully though, it is unique to each of us. One thing I have found is that it is extremely helpful to be able to see your current cortisol and adrenaline levels as these will tell us exactly how your body is adapting to stress at this moment in time. Between the two, along with a DHEA (another adrenal hormone) level if possible, we can put together a picture of your stress status. From there we can identify appropriate supportive therapies, which may include diet changes, nutrients, herbs, glandulars (adrenal gland from an animal in capsule form), and what I refer to as “stress remedies” (or stress-reducing activities). All of these stress recovery tactics can be referred to as “adaptogens,” meaning that they help your body adapt to stress. And, not only is there no ‘one size fits all’ solution to restoring adrenal wellness, our unique requirements also change over time – what helps your body now may be different than what helps it in the future. So addressing adrenal wellness is something we need to pay attention to each and every day over our lifetimes. In fact, research indicates that when we address adrenal cortisol and adrenaline production, we can influence a wide range of health issues from fatigue, depression, anxiety, and insomnia – to autoimmunity, cancer, diabetes, heart disease, and viruses, such as HPV, herpes virus, EBV, shingles, and more. Bottom Line – Address Your Stress! So basically no matter what health issue is ailing you, addressing the stress that’s disrupting your ability to feel well and helping your adrenal glands function as well as possible is one of the best ways to ensure your wellness now and into the future. I discuss this topic in depth in my book, The Stress Remedy, and describe the stress-reducing activities you can choose each day to maintain balance in my mini e-book, Stress Remedies. I’m currently working on finishing my next book, which will be about natural approaches for insomnia. You can sign up here to find out when it is ready. In the meantime, you can start implementing this approach using my 7 or 21 day Stress Remedy Program, which help you make the four key elements – healthy food, clean water, daily movement, stress remedies, and sleep – a priority in your life. If you have already implemented the Stress Remedy Approach, I would love to hear your feedback – and I’m sure others would as well! Please share your experience and what a difference it made in your health. And to get my free 35-page ebook called A Guide to Adrenal Recovery, and to sign up for my Weekly Wellness Wisdom enewsletter, click here. To get a sense of how you score when it comes to stress and adrenal distress, I created an online adrenal distress quiz that you can do for free (it will require that you enter your email address) here. To learn more about naturopathic medicine, I recommend naturopathic.org, thenatpath.com, and AANMC.org. P.S. Based on reader feedback, I’m thinking of creating a group online course where you can learn about how to address adrenal health and methylation. If you think this sounds interesting, please let me know here so I can gauge the level of interest. Yes! I’m interested in a group online course on addressing MTHFR and adrenal health! P.P.S. For those of you who are practitioners, I welcome you to sign up to receive updates from me, including information about a continuing education course for practitioners I’m planning to offer in the near future, which will give you complete training in implementing the Stress Remedy Approach in your own practice.